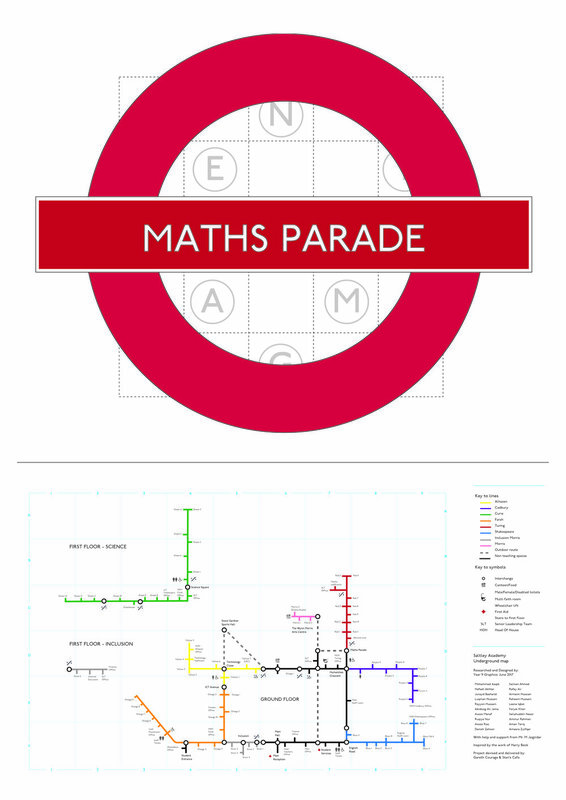 A 3 days workshop investigating the design principles of Harry Beck's London Underground designs that led to a redesign of the school map and signage system. 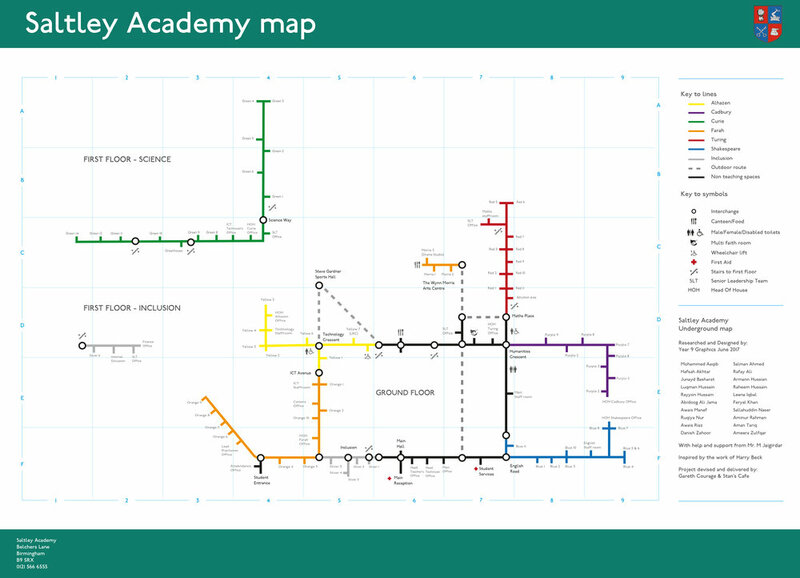 Working with a YR10 Graphics group, the learners devised and tested interpretations of the map principles using small-scale tests of their walk to school before scaling these up to maps of the school rendered in electrical tape. 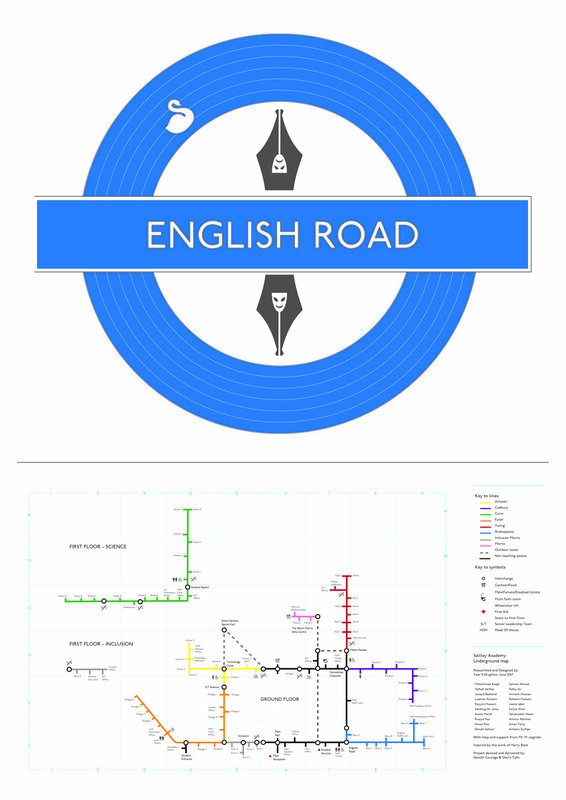 They also devised new route colours and names based on the internal house system before designing illustrative variations on the classic roundel design.